“We worked with the curious team to redesign our website. It was a big undertaking, but with good project management, great creativity and flair, we now have a smart, modern website that we are proud of. As a result our online sales have improved and enquiries have increased for all of our products and services. The Chocolate Garden of Ireland make and sell a huge range of chocolates, as well as hosting chocolate making workshops and other activities. We worked with them to develop a comprehensive and easy to use website with a built in blog and online shop. Once built, we trained the team so that they can update and maintain the website themselves. 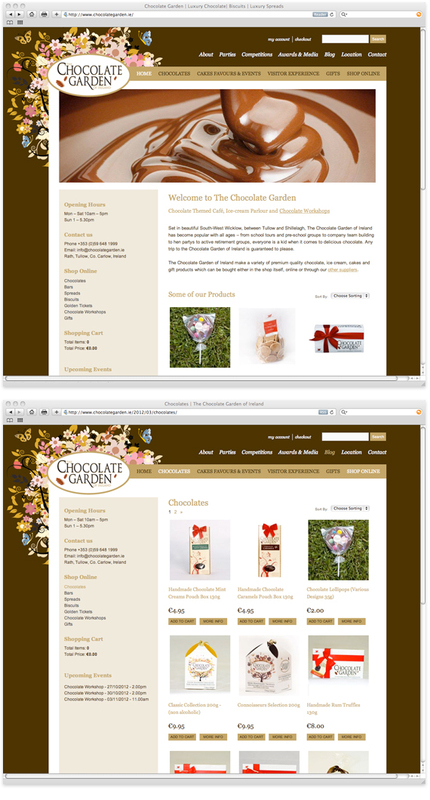 Since the launch of the website, we have also worked with the team from the Chocolate Garden on a product catalogue and packaging labels.